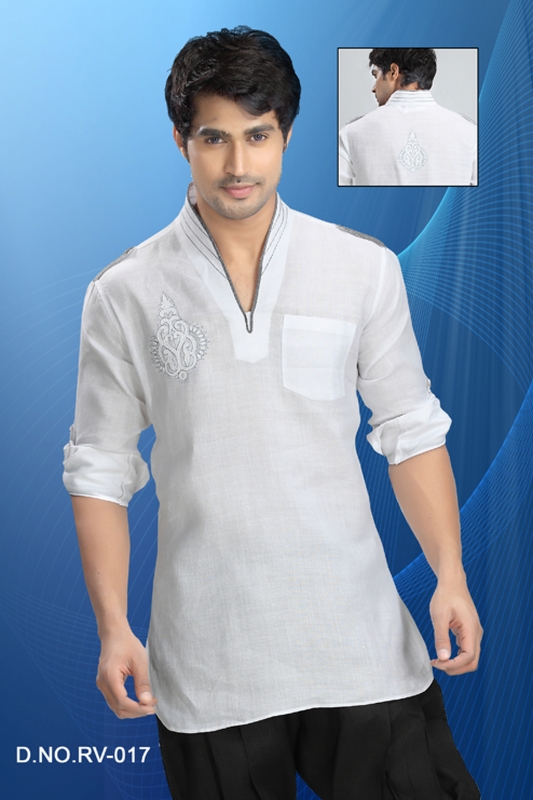 Splendid White Color Linen fabric kurta for mens having embroidered buta at chest adorned with stitch pattern at collar. It has a single pocket with long sleeves. Colors are available.